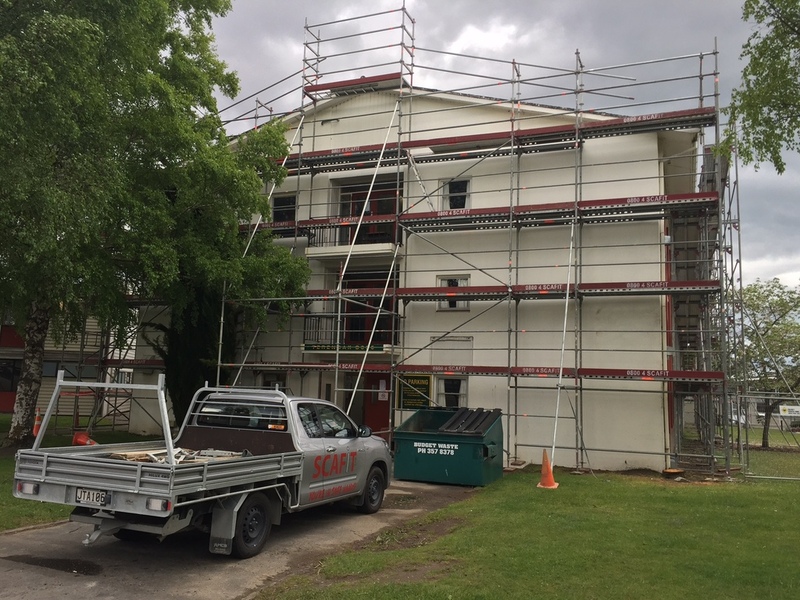 The Terendak and Faenza Barracks at the Waiouru Military Camp were due for a repaint and roof work and Scafit were engaged to provide scaffolding solutions. In order to stay ahead of the main contractor, Turoa Projects, crews recently erected scaffolding to the exterior of Terendak Barracks, after which the plan is to remove and re-erect the scaffold to Faenza Barracks. Clint and his crew were based on site for this job, enjoying army cuisine. They faced some challenges, such as been isolated from our nearest branch in Palmerston North, but managed to problem-solve well with the gear they had. The result was a tidy job that the client and army were happy with.